Jonathan C. Beech joined the firm in 2008. A native of Monroeville, Pennsylvania, he is a 1994 graduate of John Carroll University and a 1998 graduate of Cleveland Marshall College of Law at Cleveland State University. 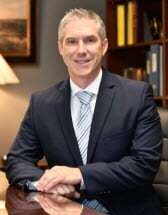 Jon is a member of the bar in all Pennsylvania and West Virginia state courts and the United States District Court for the Western District of Pennsylvania. Jon has successfully defended employers and insurers against Pennsylvania workers’ compensation claim petitions and prevailed on termination, suspension, modification, and utilization review petitions in some of the Commonwealth’s toughest jurisdictions. These efforts have saved clients millions of dollars in claims payments and also returned hundreds of thousands of dollars to clients through Supersedeas Fund reimbursement and third party lien recoveries. Jon has also defended clients in civil courts throughout the Commonwealth of Pennsylvania for auto tort and general liability litigation. He also represents and counsels small business owners in matters related to employment law, contract creation and review, subrogation and collections. Before joining the firm, Jon was a Senior Claim Specialist with the Cincinnati Insurance Company where for 10 years he was a multi-line claims professional handling personal and commercial property, casualty, auto, and workers’ compensation cases. He is proficient in analyzing, interpreting, and applying coverage under both personal and commercial insurance policies. Jon’s decade of experience as a multi-line claims professional makes him uniquely adept at pursuing insurance subrogation claims for clients. He is able to quickly and efficiently identify the strengths of the claim and maximize the client’s recovery. Since 2008, Jon has returned millions of dollars to clients through insurance subrogation recoveries in Pennsylvania and West Virginia.